Just a few days ago on her birthday, Kylie Minogue surprised fans by tweeting a new song called, “Skirt” – a dubstep-infused club track built around the flirty line, “…and then my skirt came down.” “Skirt,” which was co-written by The-Dream and produced by Nom De Strip, is all about the contrast between the dirty, wobbly verses and the soaring, pure pop chorus. At the moment, “Skirt” is believed to be just a promo single. Back in February, Kylie announced that she was joining Jay-Z’s Roc Nation management team, alongside artists like Rihanna and Shakira. Since then, she’s been hard at work on a new album with Pharrell, Darkchild, Stargate, Sia, and Fernando Garibay. Could the release of “Skirt” signal that more new music is on the horizon? Let’s hope! Surprise! Beyonce performed her new song, “Standing on the Sun” live for the first time at her tour stop in Antwerp today. As you may remember, part of “Standing on the Sun” is featured in Beyonce’s commercial for clothing retailer H&M. It’s official: Wale’s upcoming album “The Gifted” will include a remix of his hit “Bad” featuring Rihanna. The original version of “Bad,” which already peaked at #25 on the Billboard Hot 100 chart, features vocals from talented singer-songwriter Tiara Thomas (who also wrote the hook). Tiara sounds amazing on “Bad,” but I guess Wale felt the song needed a little star power to really get going. After hearing the remix last week, Rolling Stone reported, “Rihanna ups original guest vocalist Tiara Thomas’ ante and proceeds to tear down the place.” Well, that sounds promising. Oh, and I guess Rih’s doing some rapping as well. Interesting, interesting. Check out a little snippet of the Bad remix above – do you think Rihanna can do the song justice? A new Sia demo titled, “Beautiful People Say” hit the net yesterday, and it’s a corker. Initially attributed to David Guetta, Sia was quick to point out via Twitter that the song is not a Guetta production and was actually written for another artist. Rihanna, perhaps? Whoever it was written for, they’re a dope for passing it up! “Beautiful people say, ‘Yes’,” is one of the best lines I’ve heard in a pop song in…I don’t even know how long! Sia is the new Queen of pop music because she knows how to write about partying and drinking and loving and sexing in new, astonishing ways. And that’s what it’s really all about, isn’t it? Check out “Beautiful People Say” via YouTube above. Do you think it could be a hit? Okay, so there’s a new Icona Pop song out, and it’s kinda cute and it’s kinda fun, but it’s also kinda boring. But don’t fret! It’s not their new U.S. single. According to Billboard, “Girlfriend,” which randomly bites its chorus from Tupac’s 1996 song “Me and My Girlfriend,” is “just a single for Europe and other international areas.” You see, “I Love It,” which is currently smashing in the U.S., was released in Europe last summer, so it’s rather old hat now and Europeans needed something new. What do you think – is “Girlfriend” a good follow-up to “I Love It”? So “American Girl,” the song which Bonnie performed live at The Hotel Cafe, is indeed the lead single from her still untitled second studio album. And that’s fantastic news. It seems that despite her blown cover, Bonnie’s still going forward with the clue game (so far she’s posted pictures of a 7/11 sign, a slurpee, and a vending machine), but she’s yet to give us a release date. In the above interview at the BMI Awards (she won 3! ), Bonnie confirms that the single is coming in June, so hopefully it won’t be long now! Jessie J blasts back onto the pop music scene with “Wild,” the lead single from the British singer’s upcoming second studio album. Co-written with Claude Kelly and produced by frequent Dr. Luke collaborator Ammo (Katy Perry’s “E.T.”), “Wild” is an electrically-charged “look at me now” anthem, a kiss-off to Jessie’s haters (of which, there are many). I understand why some people don’t like Jessie J – her guppy mouth is bigger than Steven Tyler’s and sometimes she just doesn’t know when to shut up (her over-singing makes Xtina look subtle), but she actually does exercise some refreshing vocal restraint here. The “wild, wild, whoa-oh-oh-oh-oh-oh-oh” hook is catchy, but otherwise the song is lacking the spark of past singles like, say, “Domino” (the standard to which all Jessie J songs are now held…according to me). I will say this: Jessie looks pretty hot strutting around with her Susan Powter buzz cut, and rapper Big Sean does provide an entertaining guest verse. Check out the “Wild” music video below (which also features an appearance by UK rapper Dizzee Rascal). What do you think – is it lead single material? Music News: Did American Idol sabotage Angie Miller? So if you were following American Idol this season, you know that Queen Angie Miller was wrongfully eliminated just before the finale, leaving the talented but yawn-inducing Candice Glover and Kree Harrison to limp towards the finish line. Naturally, I was enraged, but HEY – the best person doesn’t always win these competitions and I can accept that. What I cannot accept, however, is shady behind-the-scenes bull—-. And I think the American Idol producers have some explaining to do. Angie may not have been competing in the finale, but she still got her fair share of screen time, including an awesome duet with British pop star Jessie J (I’ve never used the word “awesome” to describe Jessie J before, but I really enjoyed the performance so I’m just going to go with it). Afterwards, Ryan Seacrest announced that Angie’s original song, “You Set Me Free,” which she so brilliantly performed during auditions, would be available for download on iTunes after the show. Huh. So, even though this would put Angie’s single in direct competition with the winner’s single, they were still going to let her release it. Seemed a bit odd, but I was so excited for Angie, I didn’t think much of it. But as soon as the show drew to a close and Candice was crowned the winner and cruelly forced to ugly-cry her way through her mediocre new single, “I Am Beautiful,” the American Idol producers’ true intentions were revealed. First, “You Set Me Free” was listed on iTunes under Angie Miler, with one L. It could have been an honest mistake (in which case, iTunes, punish yourself), but it sure did make her single hard to find after the show. Eventually, the misspelling was corrected, but then something even stranger happened: “You Set Me Free” wasn’t visible on the iTunes charts. Fans quickly caught on to this problem and started tweeting Angie (who ironically just tweeted that she was hoping to wake up and see the song in the top 100), but she didn’t know what was going on either. Eventually, Angie revealed that “You Set Me Free,” for reasons unexplained, would not be eligible to chart on iTunes period. Hmm, could it be that the American Idol producers were afraid of Angie outshining their new winner and runner-up? It certainly seems that way. And I guess they were right to worry, because if you look at the numbers, it’s pretty clear whose single is resonating with the general public. I’m so glad that we got to hear the full version of “You Set Me Free” – it’s a fantastic song, miles better than Candice’s paint-by-numbers inspirational ballad, but the American Idol producers should be ashamed of themselves for pulling this ridiculous stunt and for not being forthright with Angie. It just makes them (and the show) look petty, sneaky, and insecure. It’s OK, though – with her girl-next-door good looks and beautiful voice, I have a feeling Angie will have the last laugh. 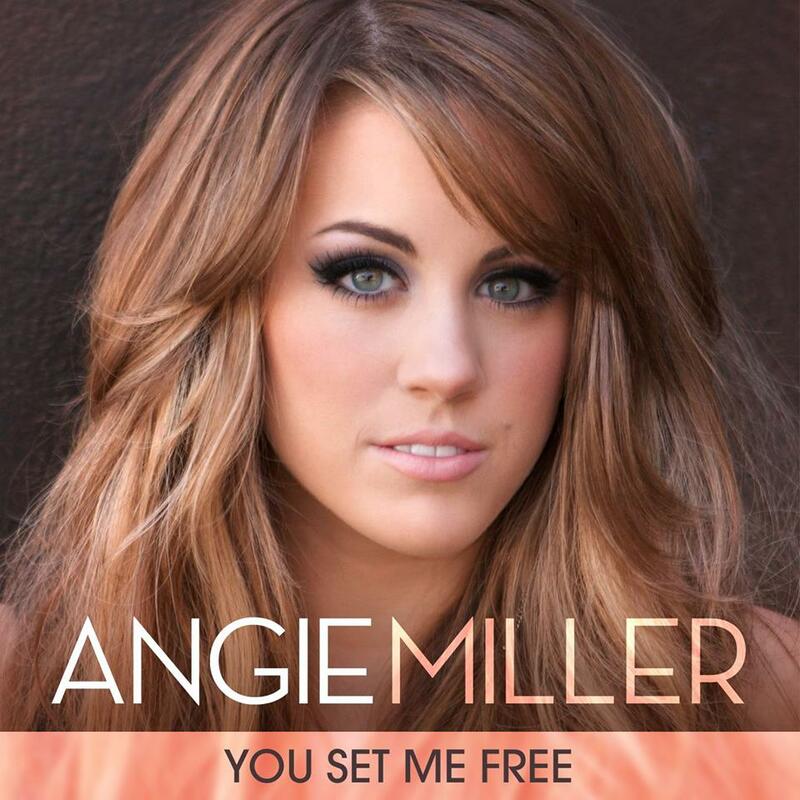 Stream “You Set Me Free” via YouTube below and support Angie by downloading the song on iTunes! Bonnie McKee surprised the crowd at LA’s The Hotel Cafe this week by premiering some new music, and it’s f—ing awesome. No seriously, it’s amazing. The song, which may or may not be her new single and may or may not be titled “American Girl,” is an infectious, piano-driven uptempo that combines Bonnie’s signature singer-songwriter style with the pure pop hooks that have made her famous. I’m so excited I could puke. Everything about this performance is perfect, including the banshee shriek Bonnie lets loose near the end of the song. In less than four minutes, she effortlessly makes every other girl in the game look like a dumpy, no-talent donkey. And as if that weren’t enough, she also treated the crowd to a medley of her chart-topping hits, which, naturally, she totally slayed. Still no sign of a song called “Sleepwalker” which Bonnie teased back in January, but she recently tweeted that she was in the studio putting the last minute finishing touches on her first single, so let’s hope new music is coming soon. And not pop star soon, actual soon. Because I need it. And I can’t shake this feeling that Bonnie is about to become the next big thing. J. Lo’s new single “Live It Up” premiered about an hour ago on radio station Z100 – does it live up to the hype? No, not exactly. It sounds dated and the chorus isn’t nearly as instant or memorable as “On the Floor,” the hit J. Lo seems destined to be chasing for the rest of her career. I think it’s time for producer RedOne to change up his sound a little bit. During her short radio interview, J. Lo revealed that her tenth studio album is tentatively scheduled for release in November. Uh, that’s pretty far away. Apparently the plan is to release a few singles in the mean time and see what sticks! Check out the official lyric video for “Live It Up” above. What do you think, does J. Lo have another hit on her hands?